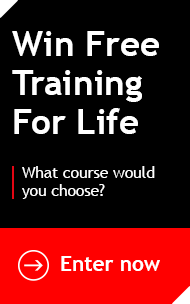 Our fourth Free Training For Life competition has finally come to an end. Over 14,000 people entered from 104 countries for a chance to win free access to our entire portfolio of accelerated courses, for life. We’re now pleased to announce the lucky winner of the 2016/17 Free Training For Life competition! 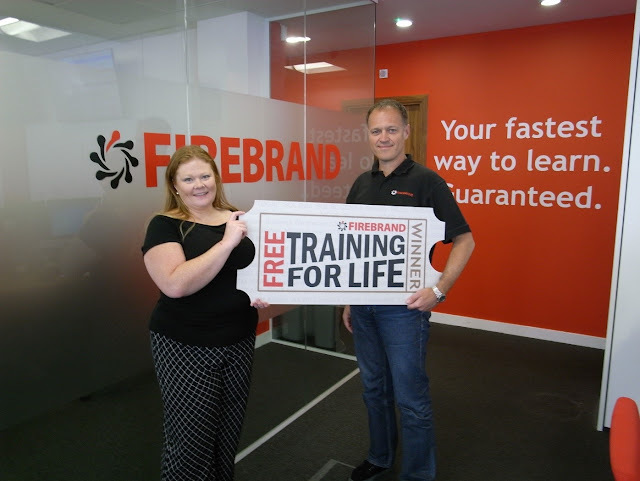 Firebrand Training is pleased to announce that Jennifer Hamling-Hills, an experienced project coordinator based in the United Kingdom is this year’s Free Training For Life winner. Jennifer has won this life changing award, gaining unrestricted access to accelerated, world-class training from the industry’s leading vendors including Microsoft, EC-Council, CompTIA, ISACA, Cisco, The Open Group, AXELOS and many more. “Amazing, unbelievable, I’m still coming down! Learning I had been shortlisted while on holiday in Spain was a bit surreal. Being told the following day was just amazing. I felt completely lifted and excited. Still only just sinking in”. Firebrand's Co-founder and Commercial Director Robert Chapman presents Jennifer Hamling-Hills with the Free Training For Life prize. “All of these skills will make both myself and my CV a more attractive package to prospective recruiters and could boost my earning potential for years to come. I’m 100% focused on my new learning journey”. Having worked in project management for over a decade Jennifer has always wanted to get the official credentials to go alongside her wealth of experience. Jennifer has her target set on the accelerated PRINCE2 Foundation and Practitioner certification as her first course. Here, she’ll learn to implement a scalable, process-based approach to project management. After this Jennifer has expressed interest in the PRINCE2 Agile the BCS International Diploma in Business Analysis certifications. Her long-term aspirations also include gaining a professional Microsoft certification to prove her SharePoint and Office 365 skills. Jennifer went on to say: “This for me is the start of something big. I’m raring to go”. Jennifer’s prize will allow her access to our growing list of 400+ accelerated courses and won’t have to pay a penny for training, exams, course books, food or accommodation. Not to mention, Jennifer can undertake her training in any of Firebrand’s purpose-built centres across Europe and the Middle East. Jennifer joins previous winners Joseph Guthrie, Mario Henkel and Darren Edmondson as the fourth winner of this annual prize. You can join our previous winners as we’ve just relaunched the Free Training For Life competition for the fifth time! Enter this year’s FTFL draw here. And, share your referral URL with friends and family to increase your chances.